Saving money at the exchange store at Naval Air Station Oceana in Virginia Beach, Virginia, doesn’t have to be a frustrating process of sifting through dozens of websites for the right coupons. 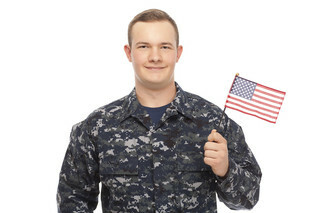 At MyMilitarySavings.com, we understand that struggle, which is why we’ve made it our mission to be your one-stop shop for military discounts of all kinds, as well as exclusive sweepstakes for exciting giveaways. We offer access to savings from a variety of sources gathered into one user-friendly site, and we also provide helpful links to the Navy Exchange (NEX) website for more coupons and deals. My Home Base – This handy homepage can be set to your location at NAS Oceana, giving you instant access to details about your local commissary and exchange, local events, sweepstakes information, and more. My Shopping List – You’ll be able to create a custom shopping list simply by clicking items on our site, and you can print it out or just take it with you on your smartphone when you go shopping. My Home Base Circulars – Our interactive ads are updated monthly with savings information on all sorts of popular items at the commissary and exchange. In addition to all of the tools we offer to help you save at your local exchange, we also offer access to an active online community of military families. On our site, you’ll find articles, videos, recipes, shopping tips, and other information from military shoppers like you, and you can join in by checking out our Twitter, Facebook, Instagram, and Pinterest pages. For more details about the exchange savings we offer for military shoppers at NAS Oceana, sign up for your free account today at MyMilitarySavings.com.